As one of the Japanese leading camera manufacturers, Canon always imply its strong vision in their camera products to make them go beyond what are imagined by photographer’s eyes. And this thing is also applied in the new Canon EOS 5D Mark IV. As new generation of the iconic Canon EOS 5D, this camera has been completed with something bigger, brighter, and more recognizable than its predecessors. And for you can’t hold your excitements toward this product, we present you an introduction to the new Canon EOS 5D Mark IV. Guys, it’s confirmed! Canon itself has announced their very new camera product from Canon EOS 5D Family. And it is named Canon EOS 5D Mark IV. It’s mean that this camera is aimed as the replacement of current Canon EOS 5D Mark III. Seeing that Mark III is actually already impressive, could you imagine how this new edition of Canon camera will be? It should be amazing. And to give you the better view toward the journey of Canon EOS 5D family, here is the history of this iconic product since the beginning. 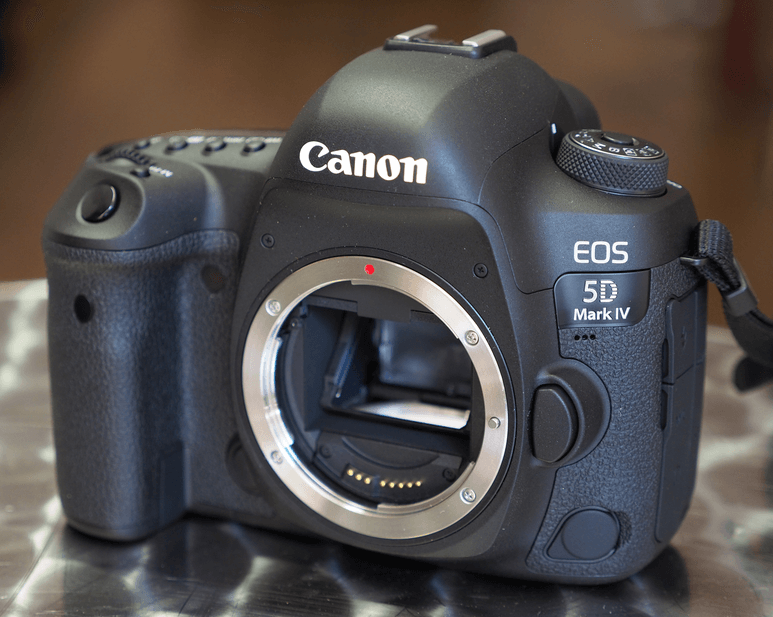 To give you the better view of this Canon EOS 5D Mark IV product, here we enclose the video from Youtube account Canon USA. This is an official account of Canon USA. So, we can assure you that the information in here is reliable. Therefore, for you who want to know more about this camera deeper, referencing to below video will be so much helpful. The history of Canon EOS 5D Mark IV was started when Canon launched their first affordable product of full frame DSLR camera. This product was named by Canon EOS 5D DSLR. With the “affordable” tag line, this camera accepted high reception from the public and gain a big success in its sales. And then, to continue this achievement, Canon released their Canon EOS 5D Mark II which is completed with the 21.1 Mega Pixel full frame sensors. More interestingly, this product is also completed with the video recording capability. And as the first Canon’s DSLR camera with video recording capability, Mark II HAS gained the same success and was able to create high number of selling. Never satisfy with these successful products, again, Canon released their new product with even more sophisticated specifications. It was Canon EOC 5D Mark II that came with several upgrades. The improved resolution is able to result on the better image it could produce. And other than that, this camera also made several upgrades on the overall aspect such as design, material, features, etc. But, the more notable updates is on the new AF system which emphasizes Canon as a world leading camera manufacturer. And now, after all those amazement, the manufacturer is ready for its next big thing. What else if it’s not about Canon EOS 5D Mark IV. And to show you how big this product is, here s the highlight of new member of Canon EOS 5D family. The first notable thing about a camera product is on the look and design. And it seems like Canon has made a quite good job on their new EOS 5D Mark IV. Seeing the design of this camera, we will realize that this new EOS product is following its predecessor by bringing the relatively similar design with the Mark III. And from overall appearance, we will not really see something too far from the Mark III. It’s amazing actually, but we were expecting the whole new look especially on the design. On the other side, this camera has made a lot of upgrades under the hood. Especially on the resolution, Canon has implanted the monstrous 30.4 megapixel resolution. This is a big jump from the predecessor, the Mark III that got 22.3 MP censors which is paired with Dual Pixel Autofocus. With this kind of censors, Canon EOS 5D Mark IV is able to create more details and clarity on the image. On the other side, for you who like to film your precious moments, you will definitely satisfy with the 4K recording capability of this camera. In addition, there will be several other features such as upgraded version of AF, variety of lower resolution range with M-RAW and S-RAW, and other sophisticated Canon typical features. Other attractions also come in the new mirror mechanism. This mirror can cause vibration with its sring driven mechanism. It is the reason why capturing image with this camera will be so much fun since you will be able to feel the shooting sensation. While in the connectivity, a built in Wi-Fi, NFC and GPS will definitely be helpful in sharing the capturing results, and track the position where images were taken. Canon has announced this product previously, so it is definitely not a rumor. While for the time, this Canon EOS 5D Mark IV is planned to be launched in market at the beginning of September. And for you who can’t hold your excitement toward this brand new camera, in some countries, this Canon EOS 5D Mark IV has been ready for pre order with the price starting from 3500 USD. That’s all of the information we need to share about Canon EOS 5D Mark IV. We hope this article could be the beneficial reference for you in choosing this product. And if you think this article is useful, you may share it in your page so that the information here could be spread in the wider range of audience. Lastly, if you have any critique, comment, or opinion toward this product, the comment session below is ready to contain your thought.